Our company is the primary manufacturer and supplier of Ice Cream Equipments such as Plate Heat Exchanger and Pasteurizer VAT. Developed from supreme quality materials, these equipments have high tensile strength and give great performance for several years. In addition to this, these are fabricated from high grade materials and have complete designs. 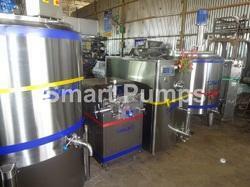 To add on, these equipments are available at leading industrial prices. 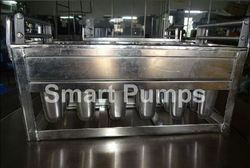 Our company is the pioneer in the domain of manufacturing and supplying of Ice cream Homogenizer. 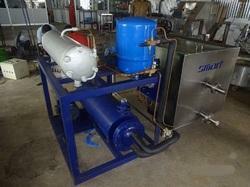 These are designed and developed using supreme quality components with the help of skilled professionals. Besides, these have the high standard, high durability, and texture. In addition to this, these are available in the market with the best quality at a reasonable price. These ice cream homogenizers are equipped with high precision machined components. We are one of the leading manufacturers & suppliers of Choco Bar Making Machine. We are one of the leading manufacturers & suppliers of Ice Cream Plant. 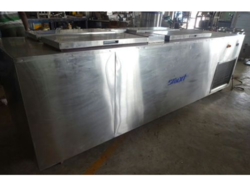 Hi-speed candy Tank offered comes in quality construction finish and finds usage in mixing of raw material pectin as well as for making sugar into liquid type for easy cooking. 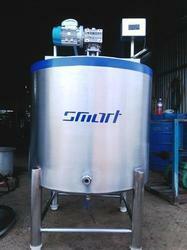 We are one of the leading manufacturers & suppliers of Hardener Ice Cream Equipment. We are one of the leading manufacturers & suppliers of Ice Cream Plant for Turnkey Basis. 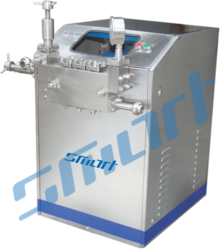 We are one of the leading manufacturers & suppliers of Mini Ice Cream machinery. 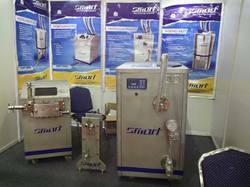 We are one of the leading manufacturers & suppliers of Ice Cream Machine. Looking for Ice Cream Equipments ?